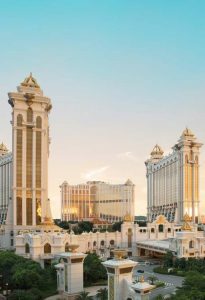 Modern day Macau is a hive of bright lights and entertainment, but with 40 casinos and integrated resorts to choose from it can be hard to know where to play, what to see and where to eat. 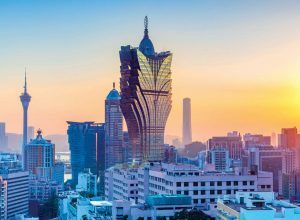 Luckily the team here at WGM know the city well, which is why we’ve put together this guide for a memorable whirlwind 24-hour trip to some of Macau’s best resorts. Good luck! The undisputed home of poker in Macau, the PokerStars LIVE poker room – located at the top of the elevators that run from the main gaming floor at City of Dreams – has become a regular stop for the very best players from all around the world. 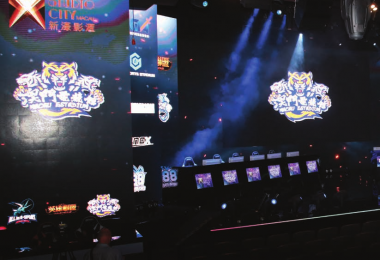 Although cash games and small tournaments run year-round, it is the venue’s array of major international tournament series that bring the room to life. 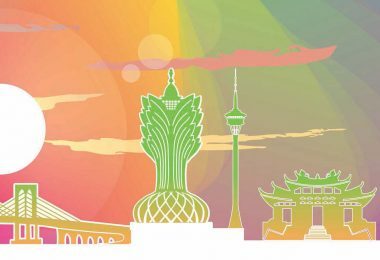 The Macau Poker Cup (MPC), which runs twice a year, is renowned for attracting enormous fields with 1,122 players taking part in the MPC 28 Main Event in January. 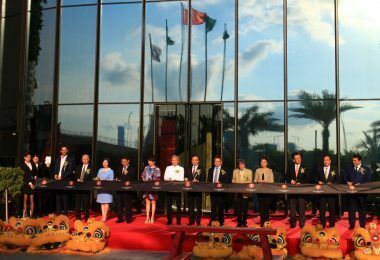 March sees the popular Asia Pacific Poker Tour stop by Macau while November is when the big guns come to play with the Asia Championship of Poker (ACOP) boasting some of the biggest prize pools found anywhere in the world. Celebrating its eighth year as Macau’s number one resident show, The House of Dancing Water is also the world’s largest water extravaganza. It is staged in the purpose-built Dancing Water Theater which features a stage pool. 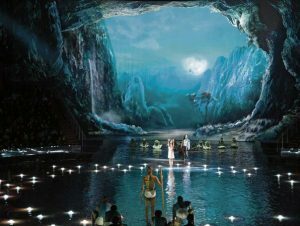 This state-of-the-art theater provides the setting for a unique love story showcased in a thrilling water, light, stunt and dance show showcasing special effects and exciting acts never seen before in a theatre. If you’ve never been, we highly recommend taking the time to enjoy the spectacle. The Tasting Room stands out in the pleasure stakes for the sheer quality of its ingredients and wine list. It serves French cuisine in a fine dining setting. Curated and headed by Executive Chef Fabrice Vullin, the restaurant serves its signature and best-selling Foie Grass Ravioli and Pumpkin Puree, served with a slow cooked turbot with culatello ham and a Comté cheese emulsion. For booze, Chateau Mouton Rothschild vintages stretching from 1945 to 2011 will mix well with every gourmet dish. Blockbusters from burgundy and Chateauneuf-du-Pape are also on the menu. Unique gaming feature: Duō Fu Duō Cai World Slots players will find no more impressive array of machines than at Galaxy Macau’s Duō Fu Duō Cai World. Launched in June 2016, Duō Fu Duō Cai World is a collection of 128 slot machines showcasing the hugely popular Duō Fu Duō Cai game. It offers the game in a range of denominations from HK$0.05 up to HK$0.50 as well as a huge linked Jackpot for the $0.20 Duō Fu Duō Cai starting at HK$3 million. The three-meter tall Fortune Diamond located in the hotel lobby of Galaxy Macau is based on the resplendent plumes of the peacock. Rising from behind a waterfall and slowly sinking into a roulette-design fountain, the Fortune Diamond symbolizes abounding prosperity and good fortune. As for the ending, the water, sound and light show reveal a massive diamond that has drawn big crowds from day one. China Rouge is dubbed the most luxurious lounge in Macau and it’s hard to argue. Blending east and west in dark yet luxuriously elegant surrounds, the revamped beverage menu includes an exquisite cocktail list of award-winning and signature creations such as the “Eastern Fashioned”. Wine aficionados can choose from a carefully curated list of boutique wines and champagne. It is open from Tuesday to Sunday from 21:00. The ground floor gaming area at Grand Lisboa is modest by Macau standards, but take a long ride up the escalators to the first floor and you’ll be greeted by a cavernous gaming room boasting gaming tables as far as you can see. Comprising mainly baccarat – with a bit of sic bo and blackjack thrown in for good measure – the room is given a sense of true grandeur by three orderly rows of golden beams rising up and out over the tables like blossoming flowers. Throw in a performance by the Crazy Paris Show behind the adjacent bar and it is truly a sight to behold. Crazy Paris Show has been a resident show in Macau for the past 27 years and counting. Having previously been located at Grand Lisboa’s famous predecessor and next door neighbor Hotel Lisboa, the show features a group of professional dancers performing French Can Can, Indian dance, pole dancing and the sway. Shows are produced daily from 13:00 to 21:00 on a stage near the main gaming floor. Robuchon au Dome is one of Macau’s top dining destinations and has been awarded three Michelin stars for nine consecutive years by the Michelin Guide Hong Kong and Macau. 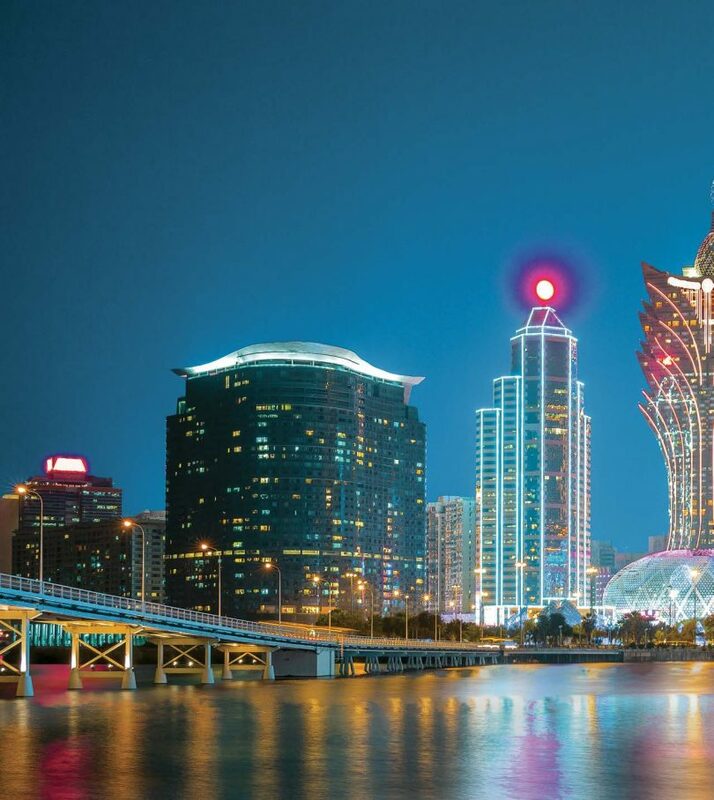 Located inside the 238-meter high dome of Grand Lisboa, the restaurant offers French cuisine and the most exclusive wine collection in Asia with over 16,800 labels. Interior design wise, its impressive centerpiece is a crystal light chandelier cascading from the middle of the ceiling, comprising over 131,500 pieces of Swarovski crystals. 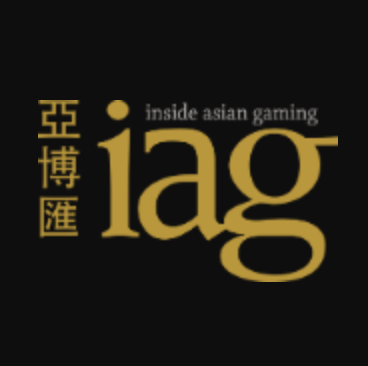 Walk through the main entrance of MGM Cotai, enter the casino, turn right and you’ll soon catch a glimpse of the highly impressive LT Game Stadium where you can play any number of electronic casino games, most notably baccarat. Featuring three screens, the massive middle screen measures 9.7 meters wide and 2.7 meters high while the two side screens are 3.6 meters by 2.7 meters. Surrounding the screens are 159 individual betting terminals from which to play. A unique feature of this stadium is the custom game display layout which provides the ability to display bespoke baccarat animations. MGM Cotai is the first and only casino to have this animation display. 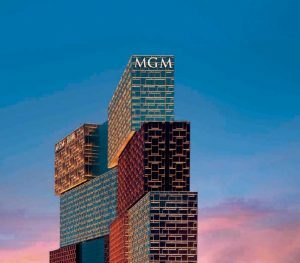 Innovative and modern, Spectacle at MGM Cotai features a multi-dimensional sensory experience located in the main lobby with giant LED screens that constantly evolve and an amazing lighting system. This mesmerizing atrium comprises the world’s largest area of permanent indoor LED screens showcasing an array of digital art from around the globe. Curated by celebrity Chef Graham Elliot, Coast takes inspiration from America’s relaxed West Coast lifestyle and features contemporary cuisine. Coast offers dishes that capture the spirit of California and neighboring western produced flavors. Unpretentious with an air of excellence, Coast is a restaurant where family and friends can gather to share a wide selection of dishes such as specialty pizza, fresh baked breads, salads, grills and other comforting delights for breakfast, lunch or dinner. Servers are dressed like Graham Elliot with his signature colorful suspenders and white framed glasses. A fast game is a good game, which is why the Venetian Macao’s Fast Action Baccarat has proved so popular since it was launched in December 2012. The giant 21- foot long tables are designed not only to accommodate more players but also to deal more hands per hour than a standard baccarat table. In fact, even with 28 separate betting positions at each table and the capacity for up to 60 standing players at any one time, FAB averages around 70 hands per hour compared with 45 to 50 hands on a traditional baccarat table. Each table features three “dealers” to collect bets then deal the single, central hand with losing bets literally dropped through trapdoors in the table to speed up the payout process. 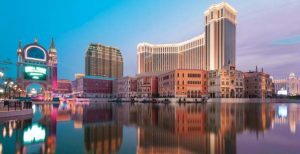 Due to both its sheer size and the incredible detail contained in its depictions of the Italian water city of Venice, the Venetian Macao remains the most visited venue in Macau. Its features are many, but perhaps the most authentically Italian is the indoor and outdoor gondola ride mirroring those of the city it is named after. A gondolier serenades guests during the trip as the water craft cruises through the San Luca, Marco Polo and Grand Canal Shoppes inside the property. Prices range from MOP$98 to MOP$512. Morton’s is Macau’s go-to restaurant for those craving quality steak. Located right next to the casino, the restaurant serves huge plates of its signature beef steak as well as crab legs, fresh oysters, prawns and fish fillet. The price per plate starts at MOP$1,500 – not exactly cheap but surely enough high-end food to satisfy your cravings. The Bar Bites menu is accompanied by Morton’s bar selections including its signature “Mortinis”. Very few do VIP like Wynn does VIP – and they don’t come any more luxurious than Wynn Palace. With an array of luxury suites and villas providing the ultimate in pampering, Wynn Palace’s high-end gaming facilities are as good as anything the world over with private rooms each boasting one or two gaming tables with plush leather finishing on the accompanying lounge chairs, a personal bar in each VIP room and spectacular views out over the Wynn Palace performance lake. It truly is an experience fit for a king. Located at the front of Wynn Palace and intentionally designed to be part of the property’s façade, SkyCabs have quickly become one of the most talked-about attractions at Wynn Palace. 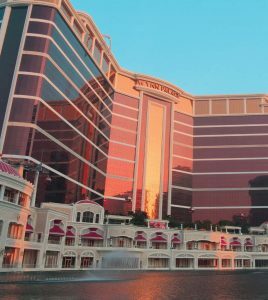 Providing a unique view of the iconic performance lake, it gives a 100-foot elevated tour around Wynn Palace’s main entrance while a custom-designed audio system is set on each cable car to describe and play background music for the performance lake and its dancing fountains. Serving fine-dining Cantonese fare in a setting that reflects both the cultural traditions and the beauty of China, Wing Lei Palace is one of Wynn Palace’s signature restaurants. The interior design consists of floral garden and three-tiered gold and jewel-toned walls and ceilings. With a view of the performance lake, it has privatedining rooms with terraces situated lakeside. Seasonal menus include traditional favorites like Wok-Fried Sliced Duck, Braised Whole Fresh Abalone in Oyster Sauce and Barbecued Suckling Pig. Dishes are complimented with 50 specialty teas curated by Wynn Palace’s Master Tea Sommelier.